marketingbyiveta | The greatest WordPress.com site in all the land! Content marketing creating meaningful text to target new customers. Consumers are not reacting on traditional advertise as before, they ignoring ads in magazines, switching ads in tv do not perceiving banners anymore...But in content marketing is no persuading or pushing to purchase a product / service now. 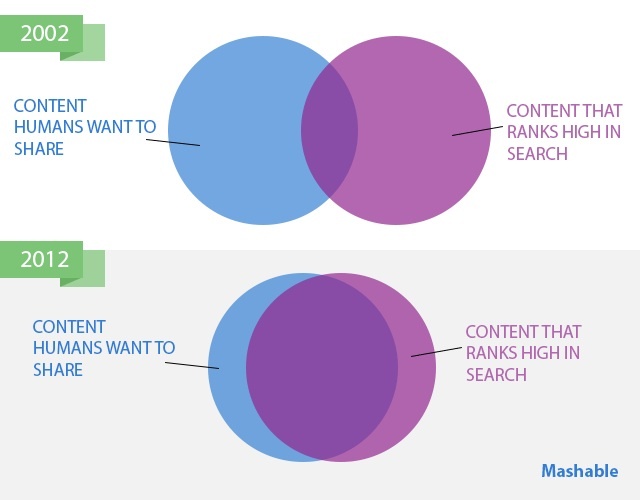 Content marketing is more about creating relationship with potencial customers and educating them, let them familiarize with company before purchase. With content marketing is related blogging, every company should have a blog as a place for source of content marketing which brings more visitor on website. These articles on blog or company website about things related with their business are best place where to put some key words. Bigger companies has people who only care about content marketing of organization as Mint.com do. This personal-finance-managing startup based on content marketing whole marketing strategy. They have special employees only for posting articles, care about all social sites and communicate with readers.News and tips posts, slideshows, videos, and infographics are all part of ther content marketing strategy. After months of picking data from feedbacks of readers and posting interesting articles of high quality from their field of business, they now have loyal followers who trust them and do not worry to share this content with others and luckily, happend to be also their new customers. Here you see that patience and good preparation worth it. Hubspot has more than 4,000 customers and also rely on content marketing. They are educating their audience by case studies, videos, podcasts, webinars, and ebooks , all about field they working in – helping businesses with marketing on internet. Thanksful all these information people more know why is internet marketing important for them and why and are able to use all Hubspot tools correctly and usefully. Google Adwords launched, as every year ,some new features. If you are already user of Google Adwors, you should know their news for running succesfull campaign. For owners physical businesses are these tool usefull because of findability in specific location. Already was possible to to specify location by word, for example Prague, so people from Prague, but also people who put Prague only into searches found your business. With new tool you can target Prague “using physical location” only. So now your ad will be visible only for people based in Prague looking for you business. If you know specific location you do not want to have visible ad for, now you can use Exclude by physical location and search intent , and be sure, that you ad is visible for Prague, not for (example of city you do not want to be visible) Brno. Recently was launched account labels, for organizing all keywords, ads, ad groups and campaigns into custom groups for better managing all acounts. You can now easily managing which campaign was more succesfull according words which was used in them or labeling your favourite keywords to see them quickly if actually checking their rating. AdWords currently offers three ad rotation settings: optimize for clicks, optimize for conversions, and rotate evenly. You can choose how many times, when and which campaigns are showen for indefinitely time. Now every ad will have 30 days period. This change should help user for better performance of their accounts. The rotate tool is using for testing new ads, but if running for indefinitely time, it can deliver unrelated ads to customers and wasting money of users. In this post I would like to familiarize you with tips for using online coupons. Some of fresh and experienced entrepreneurs giving out advices how to use coupons not only for discounts, but also for making a relationship or track customers. 1) Be careful with Deal/Discount websites. We all know sites with super cheap offers for everything, but maybe not all of us heard about how many entrepreneurs got failure thanks to them. Customers shopping on these sites are not loyal and wants to save money. Only. 2) Online coupons are smart way how to measure succes of your marketing activities. Put a different code on coupons according to where people get the code (Facebook, Google,magazines…) so you can see on which site was campaign most usefull, because when customer is going to use a coupon, he has to give you the code, then you are able to easily measure success of each campaign. 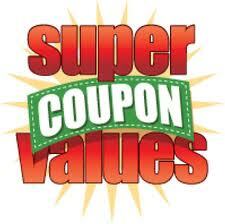 3) Reward by coupons only those, who worth it and make from coupons something desirable for others. According to Natalie MacNeil, try to give special coupons only to your most loyal or active customers. You can decide according to how many times individuals shop with you, how active are on your Facebook page or giving coupons for recommendation of new customer. Take all these advice, but dont forget to give out discounts only if your business can afford it. As I was already posted some informations about mobile and adverising, in today s post I would like to show you real example of how mobile commerce could work to benefit for company. In last post I posted some tips what to do for advertising in mobile devices, so lets see if it really works on example of cosmetics company Sephora. This year, Sephora going to invest and focused to mobile shoppers and on all customers using mobile devices in daily life. And why? Last year an amount of purchases through mobiles in Sephora increased 167% and eGift Cards did in 2012 a big profit to company and also fact that 50% of newsletters are opens from mobiles giving company information that with investing on mobile users, going by right direction. Sephora s customer are ladies all age, but mainly young women spending many time on mobile and internet within, comparing products, browsing for gifts and shopping. “Our shoppers are absolutely mobile shoppers,” said Johnna Marcus, director of mobile and digital store marketing at Sephora. 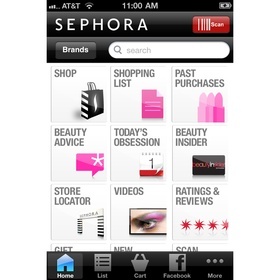 Sephora in 2013 is not going to focus only on shoppers, when purchasing through mobile is still a little new thing, customers could use Sephora app and website in mobile differently, but still with beneficially for company (and themselves). Company decided to focus on customers who are also „only“ browsing website while in store, reading reviews, watch „how to “ videos in procces of purchase decisions. Customers now could scan the 2D code on a product in-store to see ratings and reviews and other product-related information. Mobile devices will be in Sephora also using as a loyalty cards instead of the papers one, so worrying about forgetting a gift card or losing it are gone. Johnna Marcus, director of mobile and digital store marketing for Sephora. As you can see, even if people are not willing to make a purchase by mobile, there are many other possibilities how to make their shopping with you pleasure experience. As I have already mentioned importartance of mobile marketing with increasing number of users, with improving of mobile advertising, location based advertising has a big future. This type marketing increasing despite privaci issues, customers are still not very willing to give away personal info which make whole situation taught for marketers. But not only customers, privacy is still big issue in law. For example you can not take any location info from kids under 13, because of Children’s Online Privacy Protection Act. Or every company has to protect very strongly all data they gathered physically and in electronic version. 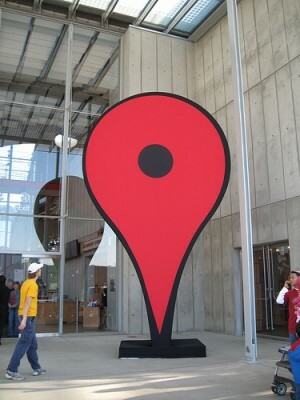 Location based advertising is trying to be personalized and perfectly, straightly target their costumers and even if mostly they are not prepared to share information about place where they are, if marketers will give them valuable service and offers in exchange of the information, they will more likely to collaborate. For users it could mean delivering of content according their needs and works as a time saver. Another advantage could be immidiatelly delivering of special offers just then minutes from them! Imagine you are walking around and then you mobile tells you where in 10 metres is prepared you favourite coffee for best price or your favourite clothes shop just start with seasonal sales! For example Starbucks is so far, that by their app customers can order coffee which will be in coffee shop while they arrived, because order was sent in advance by app into customer nearest store! When more and more people purchasing by mobile, share photos and information, location based as will increasing. As many more people has their mobile device everywhere they go with internet in, marketers want them target them inside these little machines. According to 2012 trends, in mobile marketing are tons of money without utilizing, in this area of marketing are obstacles where neither biggest companies has no strategy to overcome. Marketing on mobile devices is obviously not same as ads on computer. Biggest probem is propably sizing: See below ad on PC with lot of space. Mobile ad is shrunk for one sentence, which make an ad on such a small area annoying anyway. Not only sizing, but whole problem with ads on mobile is also where we are using mobiles. According to Jean-Louis Gassée ,when we are working in front of a laptop , our attention is focused and our time is committed. We know where we are and what we’re doing. Not so with mobiles, we are on the way, surrounded by many people, activities and are fragmented. 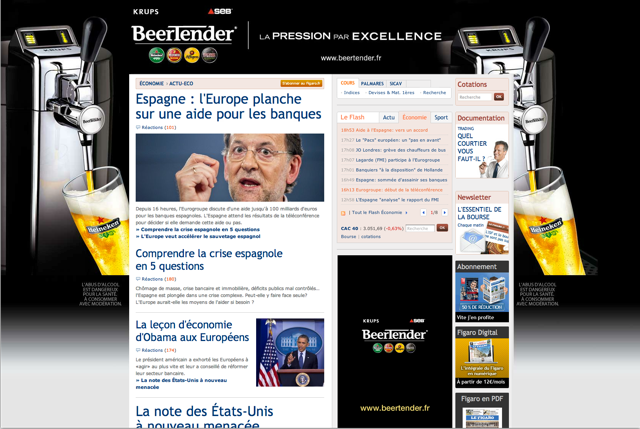 Even of these bad news, every business should have mobile-optimized website as a minimum. 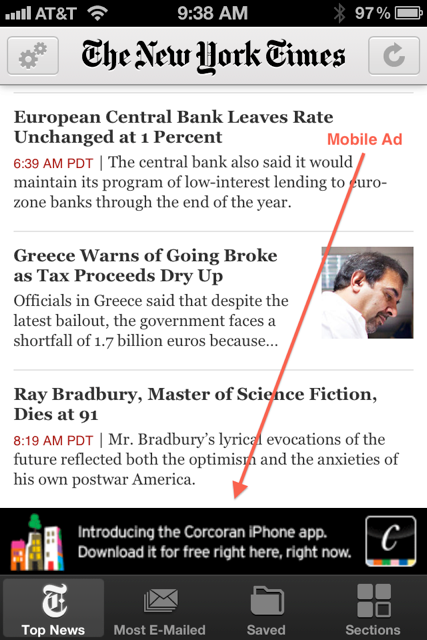 Another question, problem, coming with ads on smartphones is whether to marketing by website or app. Advantage of app is, that customers has to downoald it into cellphone, where it stays on users eyece all the time, while website has to search again everytime. With question which type of ad use is still here a problem that nobody can say which, if Apple apps or Google search platform will be more desirable in future when current situation with these giants is still uncertain. Apple is all about mobile apps, and Google is all about mobile web and marketers still does not know where to target.